Ashok Swain at the Department of Peace and Conflict Research has been appointed a UNESCO Chair on International Water Cooperation. Access to fresh water is crucial to people’s ability to survive. But in large parts of the world, access to fresh water is limited and the shortage often causes different kinds of conflicts. At Uppsala University, broad natural science and social science research is being conducted on international water issues. Uppsala University has now signed an agreement with UNESCO (United Nations Educational, Scientific and Cultural Organisation) about establishing a chair at Uppsala University focused on research about international water issues – the UNESCO Chair on International Water Cooperation. The task of the chair holder is to promote research and teaching on international water management and water governance issues and to facilitate collaboration within and outside Uppsala University. 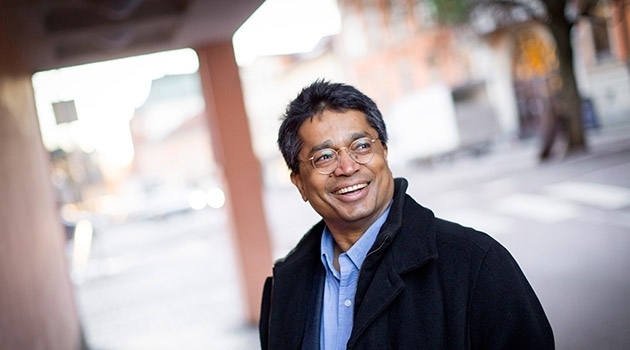 Ashok Swain, Professor at Uppsala University’s Department of Peace and Conflict Research and Director of the Research School on International Water Cooperation, has been appointed the new UNESCO Chair.